Private Wine Counsel: A Winery in the middle of Beverly Hills, California? © 2010 Thomas Arvid. All rights reserved. A Winery in the middle of Beverly Hills, California? I always love visiting places that would be impossible to create today. In Europe, these types of places are easy to find and come quickly to mind, the Acropolis, the great Cathedrals, the important castles and so on. These types of projects simply could not be built in today's world. Not only are they cost prohibitive, but they include the type of painstaking labor that no one seems willing to do anymore on such a grand scale. In our relatively young country, we think of more modest works, like the art deco floor of the Empire State Building or the steel work on the Golden Gate Bridge. Fairly impossible by today's standards. Recently, I toured a winery that simply could not and would not be created today. It's called Moraga Estate, located in the heart of Bel-Air, California. For those unfamiliar with the area, Bel-Air is part of the "Golden Triangle" along with Beverly Hills and Holmby Hills. The area is replete with some of the largest, most beautiful and expensive homes in Southern California. It's a stone's throw from Candy Spelling's (the widow of Aaron Spelling) home which is the most expensive home for sale in the world at $150 million. This is a nice neighborhood. Few would dream of building a home there. No one would dream of building a winery there. Too expensive. Way too expensive. Every piece of land is maximized to create the largest home possible on the property. Commit acres and acres to vineyards? Are you kidding? A precious few have one acre, yet alone dozens. Homeowners here dream about large wine cellars, not vineyards. Even the fictionally eccentric Jed Clampett, had he ripped out his cement pond, wouldn't have nearly enough acreage for a winery. But, 50 years ago, things were different. That's when Mr. and Mrs. Tom Jones purchased the property. Mr. Jones, not to be confused with the legendary singer (although it's not unusual) ran a major defense contractor in Southern California for many years. Mr. Jones was so impressed with the great wines of Europe that he wanted to grow grapes and make wine on his property that tasted like so many of the great Bordeauxs that he had drunk over the years. So, he took to some massively inclined hills and started planting Cabernet Sauvignon. Moraga Estate has released wines for several years now and has a loyal following. They open their gates up but once a year. Mr. and Mrs. Jones are now in their 90's, live on the Estate and desire privacy. I had the chance to visit and to shoot this rough video of the property. Although I would love to videotape this property with a professional crew, this gives you an idea of the beauty of the place and the special nature of the property. As for the wine, one certainly gets the Bordeaux influence in the style of the Cabernets. They tend toward the softer, subtle wines. The Sauvignon Blancs are full-bodied, acidic and Graves-like. The motto of Private Wine Counsel is "Wine is a journey, not a destination". The journey can take you anywhere, and most likely, to surprising, unusual places. The campy TV show made the zip code famous, but few would expect quality wine in the 90210. 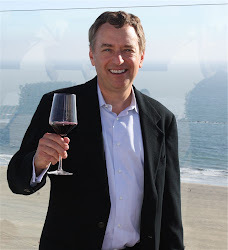 Private Wine Counsel was created by Roy Newman to offer customized and personal assistance to those interested in enhancing and enriching their wine experiences. As a career attorney, Roy was accustomed to providing detailed and critically important advice to clients on their legal situations. Through Private Wine Counsel, Roy advises people on all matters related to wine. 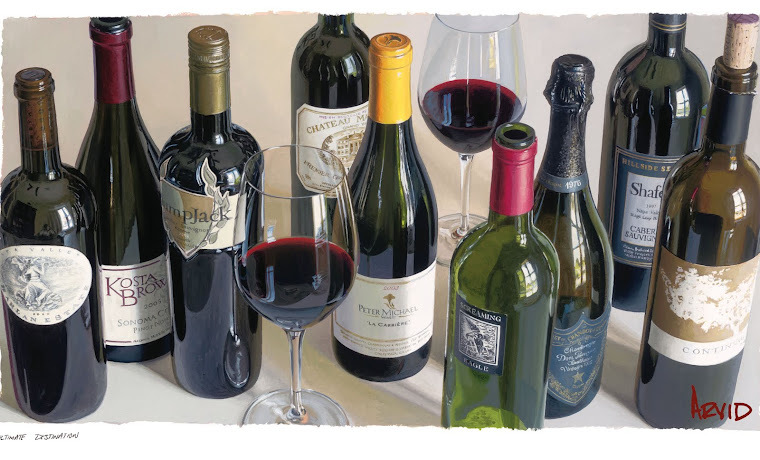 Roy has provided his wine advice to restaurants, wine bars, winery owners, businesses and individuals. Roy has extensive experience in the world of wine, from being an owner of a grape ranch, to having traveled to wine regions throughout the world, to having created a substantial wine collection of his own and having written and spoken on wine and wine-related topics. Roy proudly sells his own private label wines in China and Asia.